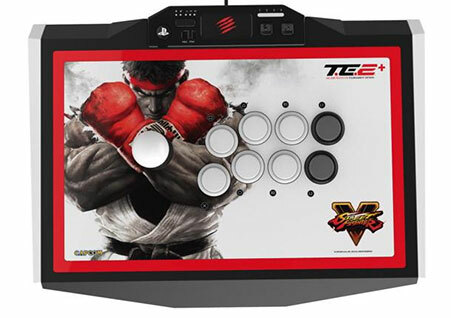 The MadCatz TE2 ushered in a new size in Fightsticks, designed to accomodate and store additional parts, and intentional ease of accessibility for cosmetic and technical mods. The first generation of the TE2 used a unique beveled edge control panel plexi. MadCatz followed up with a Generation 2 control panel, a much thinner plexi designed to make artwork install easier than the previous model. The layout featured larger button holes which actually surrounded the button, instead of fitting beneath the rim. Plexworks will offer both generations as Generation 1 1/16" Adjusted and Generation 2 1/40". I'll explain the differences as they apply to the service. Because the plexi surrounds the button, the pushbutton does not have the usual spacing below the button rim to prop it up. If you own the newer model TE2, such as the T.E.2+, you already have these spacers. If you are switching from an older TE2 to the newer model, or don't have these spacers, you can purchase a pack of 8 spacers from our store. The first generation TE2 offered a slightly thicker plexi with beveled edge plexi than the newer Generation 2. Tests performed on both first and next generation hardware confirmed that a 1/16" could still work with them. We are offering a 1/16" thick acrylic as an alternative, as unlike thinner plexi, will handle etching and comes in additional colors. Most notably, the button holes are sized so that the plexi rests underneath the plexi. This approach is a more common for plexi installation. Keep in mind: if you choose this plexi, and own a more recent Type N model, you will not use the button spacers any more. The spacers were designed to raise the button 1mm from the control panel surface. In this case, the buttons will rest atop the plexi. The Generation 1 1/16" plexi fits below the existing border.